Offering the lowest price is not a good marketing strategy and there are several reasons why. First of all, it cuts into your profits. If you have to continually offer lower prices than your competitors, the increased sales you'll get could be worthless because you're still earning less revenue. Second, what if someone undercuts you? Large companies have a huge advantage when it comes to undercutting. They can afford to take a small loss if it means long-term gains. You can't. Instead, you should charge well for your products. There are several ways you can set your prices higher and still make sales. Price-setting isn't based on actual cost, but on perceived value. Perceived value is what your customers expect to pay for products such as yours. If you can grasp that perceived value is totally different from cost, this makes pricing high much easier. For example, in the 1990s, a CD sold for $14 new. Never mind that it's a plastic disc with data imprinted on it whose actual material and production costs were a couple of dollars. People expected to pay $14, so record companies could charge it. So, how do you use perceived value to your advantage? You do it by understanding what your market perceives as valuable. In other words, what qualities of your product would lead your customers to pay higher prices? Figure out what's unique about your product. Does this help or provide value to your customers in a way your competitors' products do not? Your product doesn’t have to be the best at what it does, but rather the only product that uniquely meets its buyers' needs. One area where it's hard for big companies to compete is customization. People are generally willing to pay more for a product that's designed especially for them to meet their individual needs. 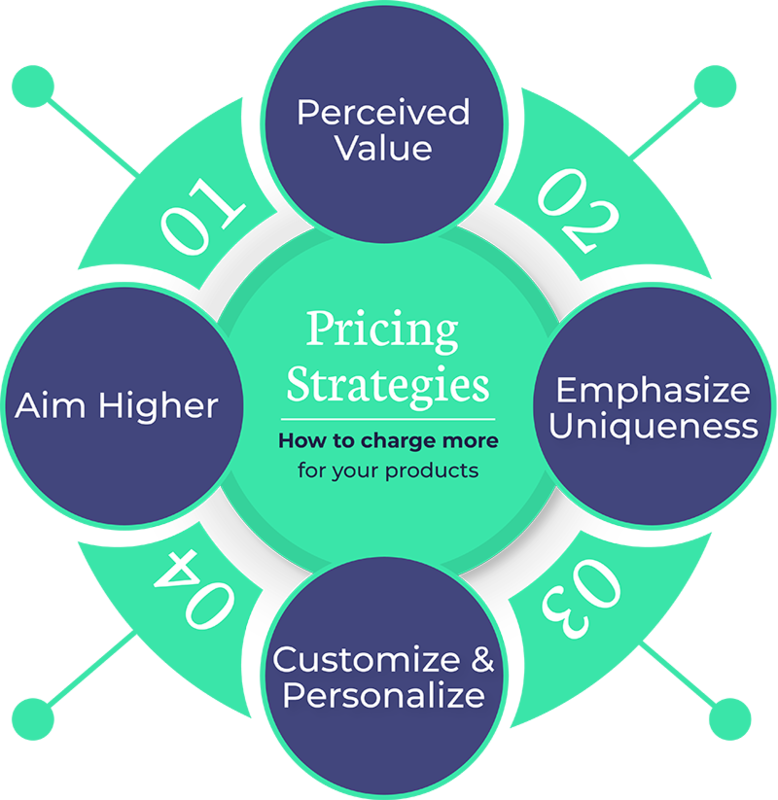 If you can find a way to customize your products or emphasize this customization as a key benefit, you can set prices higher. Maybe you're targeting the wrong market. There is always a segment of the population that's willing to pay a great deal for a high quality product. If you can sell to this segment, you'll have no problem setting your prices high. However, in order to do this, you have to convince this market that your product is high-quality. Identify this higher-paying market and do some research to see what companies they buy from and why. Setting prices low isn't the only pricing tactic available for small business and, in fact, it might be the worst. Instead, look at your business and its products, and find ways you can set prices higher to make it more profitable for you and your market.